Long time no swatch eh? Between that hussy Sandy and my job I've been neglecting my poor nails. They have been crying out for a manicure, some nail art, something... Luckily, I was strolling by the polish aisle and some sweet Essie's from the holiday collection called out to me. I decided to combine them to give a bit of pre-holiday cheer, and get back into the swing of things. 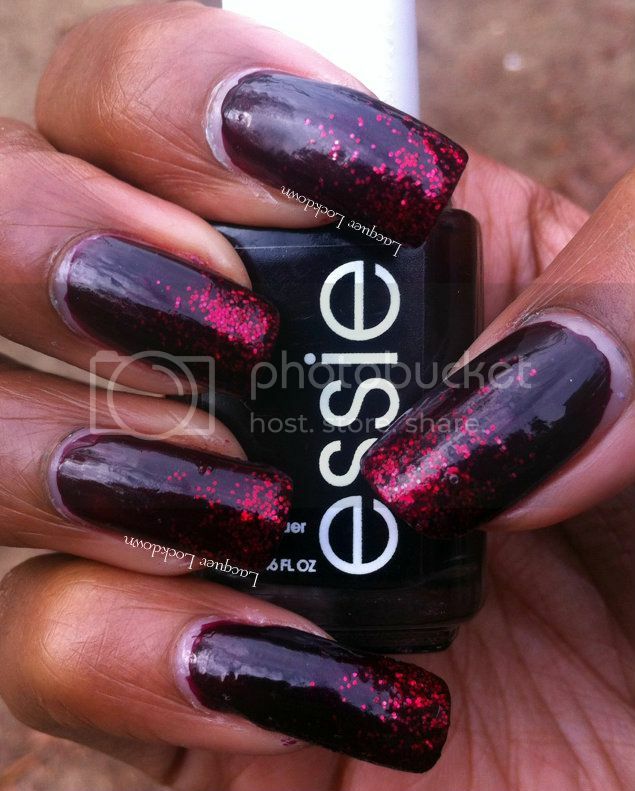 Essie's Wicked is described by the Essie website as a deep and dark creamy sinister red and I agree. Dark, decadent, and so damn luscious. Well I do adore vampy colors especially when they are so rich. Wicked is a must have if you love colors like this! It's perfectly opaque in 2 coats and self leveling. 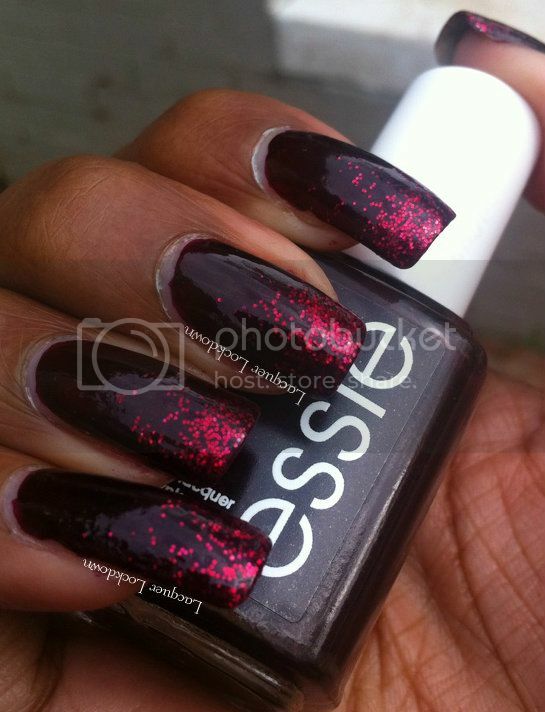 Now onto Essie's Leading Lady described as a supreme deep red glitter according to the Essie website. I sponged Leading Lady over Wicked to create a glitter gradient and I really like how this turned out. Love this mani !! I will have to check it out ... soon ... Maybe tomorrow lol !! Thank you darling! I hope your shopping expedition was a success today! So rich and glamorous looking.